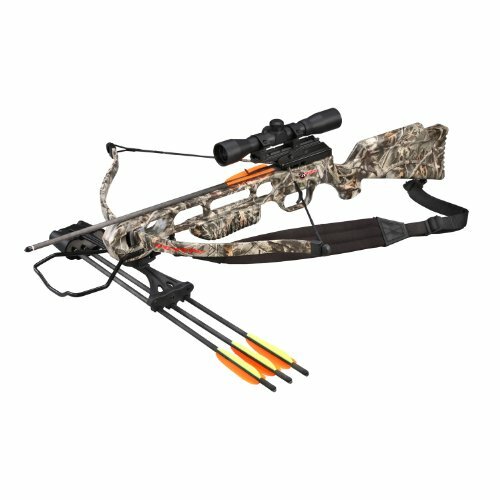 The SA Sports Fever Crossbow Package features include 175 pound recurve crossbow, premium 4 x 32 multi reticle scope, quick detach quiver with 4 arrows, padded shoulder sling, adjustable weaver style scope mounts, full coverage dipped camouflage pattern, ambidextrous auto safety, large boot style foot stirrup, speeds up to 240 feet per second, lightweight/compact ambidextrous rear stock, assembly tools/hex keys. If you have any questions about this product by SA Sports, contact us by completing and submitting the form below. If you are looking for a specif part number, please include it with your message.